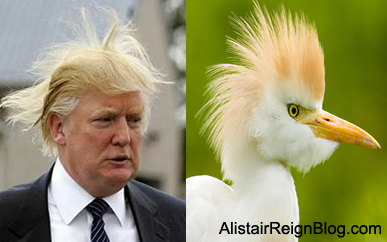 Related or not - the similarities are uncanny! … and people who look like pets! 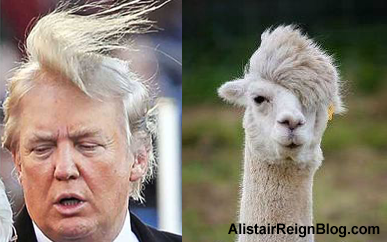 Donald Trump and Alpaca Alistair. 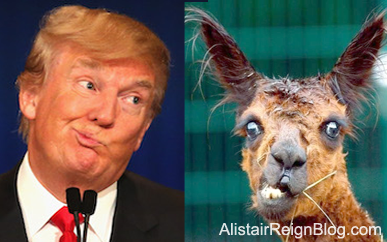 Donald Trump and I Lama Crazy. 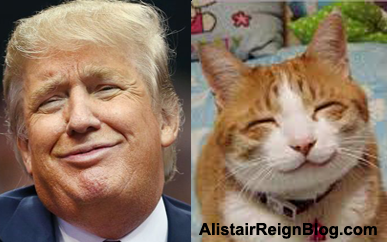 Donald Trump and Farthington Fat Cat. Donald Trump and Smile I’m Innocent. 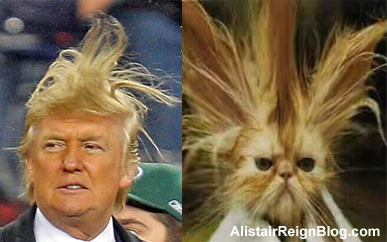 Donald Trump and Gato el-Wacko. 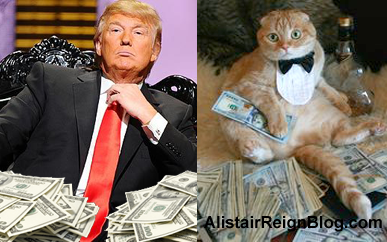 Donald Trump and Paradise Paulie. 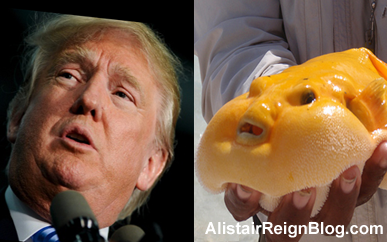 Donald Trump and Mangoman Bottom Feeder. 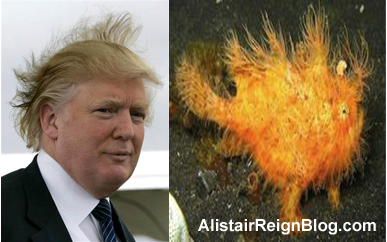 Donald Trump and Fred Frog Fish.